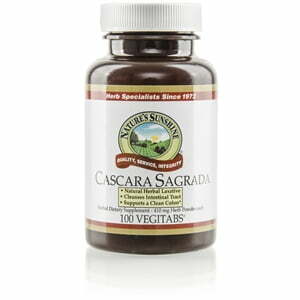 Internationally known for its health benefits, cascara sagrada is a popular herbal product from Nature’s Sunshine. While it has been traditionally used for its laxative powers, it may also benefit the health of the digestive system as a whole. 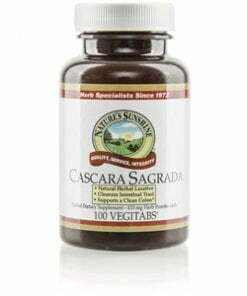 Nature’s Sunshine Cascara Sagrada Vegitabs come in 410 mg capsules. Instructions: Take two tablets with a meal twice daily. Celullose (plant fiber), maltodextrin, stearic acid (vegetable), silicon dioxide (powdered silica), and magnesium stearate (vegetable).